Here are some photos of what's blooming in my garden this month. Turk's Cap (Malvaviscus arboreus) is so versatile. It's a native plant that blooms in sun or shade, and the hummingbirds love it! (Autumn sage), probably my favorite perennial of all, is in full bloom. Another hummingbird magnet. This Autumn Joy Sedum looks like pink broccoli! The Knock-Out Rose is putting on its fall flush of blooms. The Russian Sage behind it has bloomed nonstop all summer! Zexmenia, another nonstop summer/fall bloomer, is very drought tolerant. The 'John Fanick' Phlox blooms are hanging on for a little while longer. The huge, fragrant, trumpet-like blooms of Datura attract pollinating hawk moths at night. Also known as moonflower and jimsonweed. Lycoris radiata (red spider lily) is a perennial bulb that blooms each fall. Its strap-like leaves appear after the blooms fade. 'Black and Blue' Salvia (Salvia guaranitica) blooms all summer into the fall. Hummingbirds love the tubular blooms. 6 to 8 feet tall and wide. The hotter it gets, the more it blooms! is an essential larval and nectar plant for attracting Monarchs on their fall migration to Mexico. Another Monarch magnet for the fall garden is Mexican Bush Sage (Salvia leucantha). This is the dwarf form called 'Santa Barbara,' which grows about 3 feet tall and wide. Katie's ruellia (Dwarf Mexican Petunia) is my "go-to" plant for a small filler at the front of the perennial garden. Variegated Liriope indispensable at the edge of the perennial border, as well. Even the fading blooms of the hydrangea are still beautiful. The variegated foliage of the common spider plant and the purple foliage of the wandering jew create one of my favorite color combinations. is still blooming strong. Althea can be grown in tree form, or it can be cut back drastically in February to keep it as a shrub. Annual Hyacinth Bean Vine's fragrant blooms will soon give way to decorative burgundy seed pods. in pink or red are reseeding annuals. 3 feet tall and wide very quickly. The tiny lavender/pink blooms are an added bonus above the bronze and silvery foliage. I hope you have enjoyed your stroll through my September garden. As you can see, there's lots going on this time of year! Recent rains and the cooler temps that have finally arrived make for some happy plants -- and gardeners! Fall is THE time to plant any of the perennials I've highlighted in this post. Nursery stock may not be as abundant as it is in the spring, but you can usually find some good deals on plants. So I hope you get some time to dig in the dirt and add some great perennials to your garden this fall! Have you ever grown cotton? Not me -- well, until this year. In June I went to a Master Gardener program at Henrietta Creek Orchards in North Tarrant County, and I was given some cotton seeds. So I planted them in my garden, and lo and behold, they grew! The seeds germinated in about a week! This picture was taken in July about a month after planting. The cotton plant continued to grow... and then it bloomed! I think the foliage and blooms look somewhat like a hibiscus. It is a very pretty plant, and it never wilted even on the hottest of days. I put in the ground back in June! and it reminded me of God's promise to Noah in Genesis 9. When I think of fall or autumn, I think of cool, crisp days with brightly colored leaves set against the backdrop of a bright blue sky. When I look at this picture, I can almost smell the fragrance of autumn and feel the chill in the air. It reminds me of September in central Wisconsin where I grew up. Even though my calendar tells me it is the first day of autumn, here in north central Texas it is still HOT and humid, and the leaves on the trees are still as green as can be. 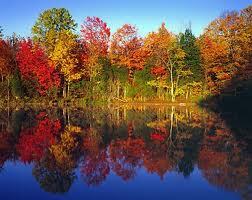 It feels more like summer than fall, but those cooler days are coming and the leaves of the trees will change color. It will just happen a little closer to the winter solstice than the autumnal equinox. Instead of lamenting the fact that the temps are approaching 90 degrees on the first day of fall, I am grateful for the extra-long growing season we have! Up north where everyone is putting their gardens to rest for a long winter's nap, we get to experience a "second spring," and gardening kicks into high gear again after a hot, dry Texas summer. Fall is the time to plant and fertilize and dig and divide perennials. It's a time to enjoy working in our gardens without threat of heat exhuastion! Dare we complain about the heat? Lest we forget about the seemingly endless cold and snowy winter of 2010, here are a couple of pictures to remind us. Dallas/Fort Worth area received over a foot of snow. ﻿Enjoy working in your gardens in the cooler days sure to come. In subsequent posts, I will share pictures of what's blooming in my garden this fall. Grasses - not just for lawns anymore! I went to a seminar this past weekend on ornamental grasses, and that has inspired me to write this next post. 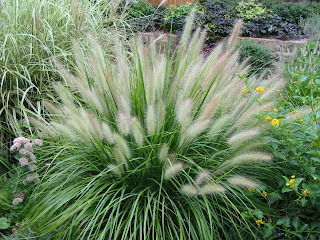 Some of my favorite landscape plants are ornamental grasses. They give you 11 months of interest with minimal maintenance. What more could you ask for! ﻿Miscanthus Sinensis 'Adagio' tops my list of favorite ornamental grasses. It grows about 3 feet tall and wide. It plumes or "flowers" earlier than most Miscanthus grasses, beginning usually in June. Adagio's big brother is called 'Gracillimus' (not pictured). It has similar characteristics, but grows 5 to 6 feet tall and plumes later in the fall. Another favorite Miscanthus grass is 'Variegatus.' It is a large grass, topping out at 5 to 6 feet tall. The wide foliage is variegated cream and green with pink plumes in October. The next family of grasses are the Muhly grasses. This beauty is 'Regal Mist' Muhly (Muhlenbergia capillaris), sometimes referred to as Pink Muhly or Gulf Muhly. This grass grows about 2 1/2 feet tall and 3 feet wide, with an explosion of pink fluffy plumes in October. Another Muhly grass, Lindheimer's Muhly (Muhlenbergia lindheimeri), is a native grass that is extremely drought tolerant. The gray-green foliage stands about 5 feet tall with tan plumes rising above the narrow foliage in late fall. ﻿ Yet another family of ornamental grasses are the Fountain grasses (Pennisetum alopecuroides). Fountain grasses tend to like a little more water during the growing season, but too much moisture in the winter can cause the root system to rot. A site with excellent drainage is required for success with these grasses. A fountain grass new to me is called 'Karley Rose.' 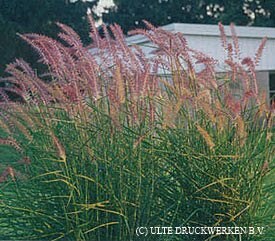 It grows about 3 feet tall with pink wheat-like plumes. I just purchased it and have not even had a chance to plant it. I'm excited to see how it does in my garden. And last, but not least, is Mexican Feathergrass (Nasella tenuissima), an extremely drought- tolerant native grass. It grows about 1 1/2 feet tall and wide, with tan feathery plumes. In sandy soils this grass can reseed readily. ﻿ Excellent drainage is required. All of these ornamental grasses need 6 to 8 hours of full sun. Prepare the planting bed with compost tilled into the native soil. Add expanded shale in heavy clay soils to enhance drainage (not necessary in sandy soils). All of these grasses are hardy in our Zone 7/8 gardens. Pruning tips vary depending on the type of grass. Miscanthus and Fountain grasses are trimmed down to about 3 inches above the ground in mid-February. Trim Muhly grasses down to about a foot above the ground in mid-February and "rake" out any old foliage with a 3-prong claw (digger). Mexican Feathergrass needs no pruning at all, but from time to time "rake" out any old, tattered-looking foliage. Until next time...enjoy your gardens. This is my right arm. My name is Toni, and I am addicted to diggin' in the dirt. And now I have a new medical term to add to my vocabulary. Radial tunnel syndrome. I hold in my splint-adorned right hand the humble No.2 pencil. This pencil represents the amount of weight that I am allowed to lift with my right arm for the next two months. Ne'er a trowel, a shovel, or my favorite 3-pronged digger shall grace my fingertips for 60 days. How can you get this lovely fashion statement with weight restrictions included, you ask? Well, you can start by pruning half of Tarrant County, then you can install 600 feet of green metal edging, then apply multiple yards of compost and about 150 bags of mulch, remove half of the remaining grass in your backyard with a pickaxe, and then put down 2 cubic yards of decomposed granite. Did I mention the pallet of flagstone? Oh, and when you're not busy doing that, go lift some weights for fun. I'm sure I left out a few things, but you get the picture. I am in the process of undergoing therapy for the next two months, as well....er, occupational therapy, that is. My husband keeps saying, "Make sure you tell people you're going through occupational therapy, not just therapy, so they don't think you're, you know, crazy or something." I don't know, after two months of not being able to dig in the dirt, I might just need a little of the other kind of therapy! My therapist tells me that I need to learn to PACE myself...a concept that, to date, seems unfamiliar to me. He also said that there can be no more "landscaping marathons." It would be best if I can limit my work to 2 hours at a time. 2 hours?!!! I'm just getting warmed up in 2 hours. He also said I need to "throw my hand tools away." Surely he can't mean my Felco #6 pruners or the aforementioned 3-pronged digger. Are you kidding me??!! He is not kidding. He advises me that I need to learn to use different tools to accomplish my gardening tasks, tools that engage large muscle groups, instead of the little ol' supinator (forearm) muscle. Who knew?! I guess God will slow us down when we won't do it for ourselves. So I am taking this time to rest, to read, and to listen to wise counsel -- oh, and blogging, too! Hopefully soon I will be back to diggin' in the dirt (albeit slower diggin', but diggin' just the same). So take it from me, learn to stop and enjoy the fruits of your labors a little bit more than just laboring. Take care and happy gardening. Get some dirt under your nails for me, will you? Tired of mowing and weeding that patch of lawn in your backyard? Or maybe you've been staring at another patch of lawn thinking, I'd sure love to have a flower bed in that spot. Then questions start to flood your mind, and you become overwhelmed with the thought of it, so you just crank up the mower one more time. Well, there's no better time than the fall to plan, prepare, and plant a new bed. Most of us want to skip the first two steps and just get to the plants! 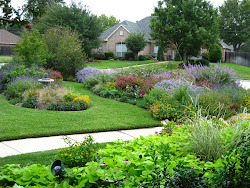 Long before we ever stick one plant in the ground, though, we need to have a plan, a landscape design. But wait, you say, I'm not a landscape designer! How do I get started? In an attempt to take away the fear of the unknown, I'd like to share some of the basic elements that go into creating a landscape design. According to horticulturist and author Greg Grant, the five essential elements of landscape design are scale, balance, dominance, unity, and repetition. Those may sound like a lot of fancy and scary words, but here's my take on them. • Scale means keeping the plant material in proportion to the size of the beds and surrounding structures. Translation: Don't plant small plants in large spaces or next to large structures and don't plant large plants in small spaces. Be sure to consider the mature size of the plants. A one-gallon shrub may look like the proper scale in a small space, but how will it look when it is full grown? • Balance refers to the visual "weight" of the plant material from one area of the landscape to another; i.e., don't plant all of the large plants on one end of the design and all of the small plants on the other side. 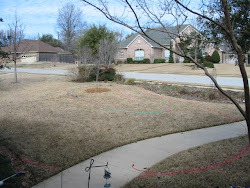 Visually draw a line down the middle of a space and balance the plant material on each side of that imaginary line. 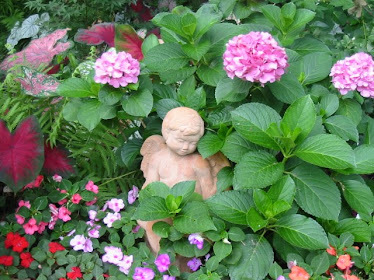 • Dominance is another way of saying "focal point," a feature (or plant) in your garden that you want to take center stage. What do you want your eye to be drawn to in a particular space? • And lastly, but certainly not least, is repetition. Repetition is rather self-explanatory. It just means repeating certain elements of the design throughout the landscape; repeating forms, textures, colors, sizes, or plant materials. We've all seen gardens where only one type of each plant has been planted, giving it that busy "confetti" look. Repetition of plant material, on the other hand, helps to create unity in your garden. And I say, hey, if you find a plant that works well in your garden, just use more of it in different areas of your garden, and voila, you've got repetition...and unity. See? That wasn't so scary now, was it? As you visit other gardens (or look at your own), see if you can spot these elements of landscape design. Start gathering ideas and inspiration for your next garden project -- and maybe you'll be able to put that mower to rest after all. It is time for the third, final, and most important fertilization of the year, between September 15th and October 15th. Put organic fertilizer down at the rate of 20 pounds per 1,000 square feet on lawns and all flower/shrub beds. If you can only afford to do one fertilization a year, this is the one to do. If you want to use the organic version of “weed and feed,” use Corn GLULTEN Meal in your lawn areas. It is also a very good fertilizer, so if you go this route, you do not need to use additional fertilizer for your lawn (you will need fertilizer for your shrub/flower beds, though). Corn gluten meal goes down at the rate of 20 pounds per 1,000 square feet, as well. The powder form of corn gluten meal works better than the granular, spreadable kind. Do not put corn gluten meal in any flower beds that you want seeds to germinate. Fall is THE BEST time for planting trees, shrubs, and perennials. Even though the upper part of the tree, shrub, or plant may be dormant during the winter, the roots will continue to develop throughout the winter, and your plants will be very well established before next summer’s heat. Nurseries usually have great sales going on this time of year, too! 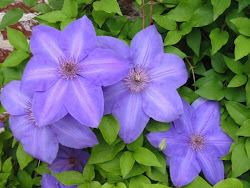 Fall is also a great time to transplant shrubs and divide and transplant perennials, if needed. Make sure soil/root ball is very moist when planting, and keep soil moist until plant is established. If you need to transplant a tree, wait until it is completely dormant, usually January. Before you plant or transplant anything (except trees – see note below), be sure to prepare the beds with lots of compost. Add the compost and till it in with a tiller or just a shovel. If you have heavy clay soil, till in expanded shale, as well. Planting Trees: When planting trees, never add anything to the planting hole except the soil that came out of the hole. Plant the trees high. Take the tree out of the container, scrape the top couple inches of soil off the top of the root ball until you can see the flare of the trunk (I just use a broom to brush the soil away). That is the top of the root ball. Plant the tree with the top of the root ball (the flare of the trunk) a couple inches ABOVE your soil grade. Add compost to the TOP of the root ball area if needed, feathering it out to your surrounding soil grade. Then you can mulch around the tree without burying it too deeply. NOTE: If you are planting a Shumard Red Oak or Chinese Pistachio, you will need to wrap the trunk with tree wrap for two years to prevent sun scald and borer attack. Herbs and Vegetables: Fall is a great time to plant cool-season herbs and vegetables: cabbage, broccoli, carrots, beets, beans, peas, spinach, leaf lettuce, radish, parsley, cilantro. Go to: http://plantanswers.tamu.edu/fallgarden/falldirect.html for complete vegetable planting guide for North Texas. Bulbs: Plant bulbs in a hole 3 times the height of the bulb. Daffodils, do not need pre-chilling and can be planted anytime after October 1st and through mid-January. A few good varieties of daffodils are: Ice Follies, Carlton, and Fortune. Also try narcissus, leucojum, species tulips, petticoats, fall crocus, and lycoris (red spider lilies). Plant Tulips, Hyacinth, and Crocus late December, early January, when soil temperatures reach 45-50°F. Prior to planting, store bulbs in the refrigerator at 45°F for 45 to 60 days. Annuals and Containers: It's still a little early for planting pansies and other winter color, but if your spring/summer annuals in beds and containers are tired looking and you want to add a little color now, try petunias, marigolds, and garden mums. It is best to buy plants in bud, not full bloom. Wait until it is consistently cooler (75 degrees/late October, early November) to plant winter color. 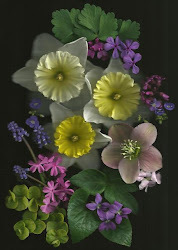 For late fall and/or winter annual color, plant: Pansies, snapdragons, dianthus, dusty miller, alyssum, mustard, Swiss chard, kale (especially Red Bor or Peacock kale). 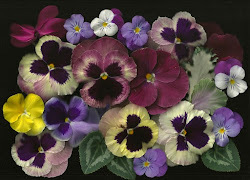 From my experience, pansies, kale, and dusty miller are the only annuals that will survive a freeze if left unprotected. The other plants will need to be covered and protected if a hard freeze is expected. Pansies are susceptible to a soil-borne disease if the soil is too warm, and they will die very quickly, so be sure to wait until it cools down. You may notice webs forming in some of your trees, especially pecan and mulberry trees. Those webs are formed by fall webworms. There are two to four generations of webworms each year. They will usually just do cosmetic damage to a tree but will not kill it. Just take a long-handled pole or rake and break the webs open. The birds and wasps will take care of the worms. You can also spray with a product called Bt, (Bacillus thuringiensis), but you will need to break the webs open first so that the Bt can penetrate the web. Bt will kill all caterpillars, whether webworm caterpillars or monarch butterfly caterpillars, so use it selectively. Bt can be obtained from any garden center. Use as directed by the label. As the temperatures start to cool down, you will not need to water as often. In the winter months, if we do not get rain for a two-week period of time, then it is time to run the sprinklers. Do not water at night. Dark and wet = fungus! It is best to water early morning. Water deeply and infrequently to encourage deeper root development. Mulch, mulch, mulch!!! Mulching all bare soil conserves moisture, helps keep plant roots warmer in the winter, and helps keep the weeds to a minimum. I prefer native cedar mulch, but any mulch is better than nothing. Please don’t leave this part out; it is very important. Be sure that you don’t mulch up around the trunks of trees or shrubs. As it cools down this fall you may see fungal problems appearing in your St. Augustine, spread ½ to 1-inch layer of peat moss over diseased areas. Another option is to spread a thin layer of compost over the area. Shrubs: All major pruning of shrubs should be done in mid-February. Mark your calendars now so you remember to do major pruning in February. If you need to prune now, prune selectively and lightly. Burford Hollies may be sending off erratic growth right now; trim erratic growth to keep tidy shape. Purple Coneflower, Black-Eyed Susan, Shasta and Ox-eye Daisy -- Prune spent flower stalks to the ground now. Salvia Greggii – Give it a slight haircut if blooming has slowed. This is a prolific fall bloomer!! Save heavy pruning for February. Salvia leucantha (Mexican Bush Sage) – After a hard freeze, cut down to the ground, then mulch. Salvia farinacea (mealycup sage), Russian Sage, Salvia guaranitica – After a hard freeze, you can cut down to the ground. Loosestrife and Lantana - cut to ground after freeze. Hardy Hibiscus: After freeze, cut stems to the ground, then mulch. 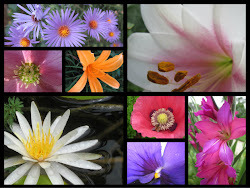 Blackfoot Daisy, Calylophus, Pink Skullcap, Dianthus, 4-nerve Daisy: No need to prune. Ornamental grasses: After a hard freeze, the grasses will turn tan, but just leave them alone until February. The grasses add texture and interest in your garden during the winter. Columbine: They should start putting on new growth as the weather turns cooler. They will be evergreen through the winter and will bloom in the spring. Powis Castle Artemisia: Wait until February to cut it back. Ferns: Holly Ferns and Autumn Ferns are evergreen – don’t cut back. Wood Ferns and Japanese Painted Ferns will turn brown after a freeze. Cut them to the ground and mulch. Summer Phlox: After freeze, cut to ground. Hydrangeas: Do not prune. The only time to prune is immediately after they finish blooming. Pruning now or in the spring will sacrifice next year's bloom. Roses: BEFORE mid-September cut shrub roses back by about a third, then fertilize and mulch. They will put on new growth and will bloom again in October. This must be done late August or early September. Do not wait until late September to do this. Okay. Here we go. The first post on my new blog. For those of you who have been recipients of my Diggin' in the Dirt newsletter by e-mail over the years, the purpose of my blog is just to expand my newsletter a little bit, to pass information along to you that will help you be successful in your garden. I hope that you enjoy it and learn a lot. I look forward to your comments. If you have any suggestions for blog topics, please let me know. Remember...a day without dirt under your nails is like a day without sunshine. Happy Gardening!